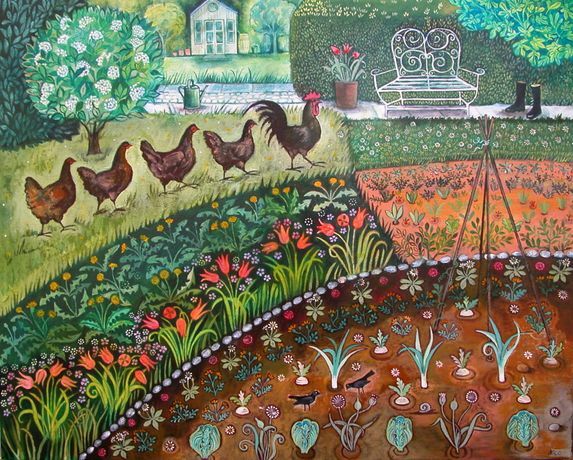 Beautiful gardens, animals and birds flourish in Nicolette Carter's colourful and harmonious paintings -- featured until 29 July at Skylark Galleries 1 - Gabriel's Wharf. Nicolette Carter has exhibited as a member artist with Skylark Galleries since 1999. Her influences include Mughal and Medieval Art as well as her own personal iconography. Nicolette is inspired by real and imaginary landscapes, including the Surrey, Oxfordshire and Berkshire countrysides. 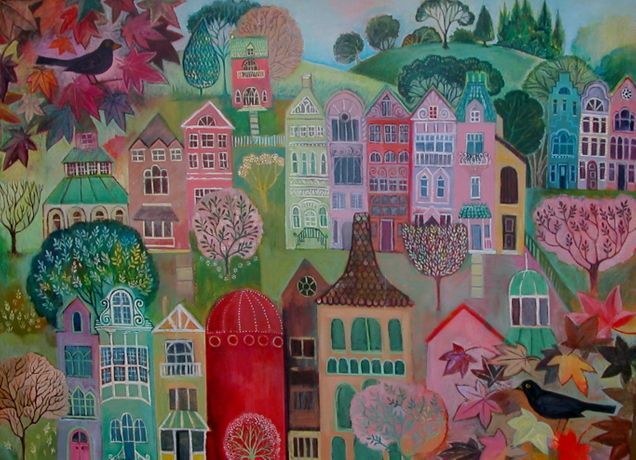 These villages and gardens -- from the present to those remembered from childhood -- predominate in her work. Nicolette's style is figurative, narrative and lyrical: she combines elements of layered colour, pattern and rhythm in her detailed works. 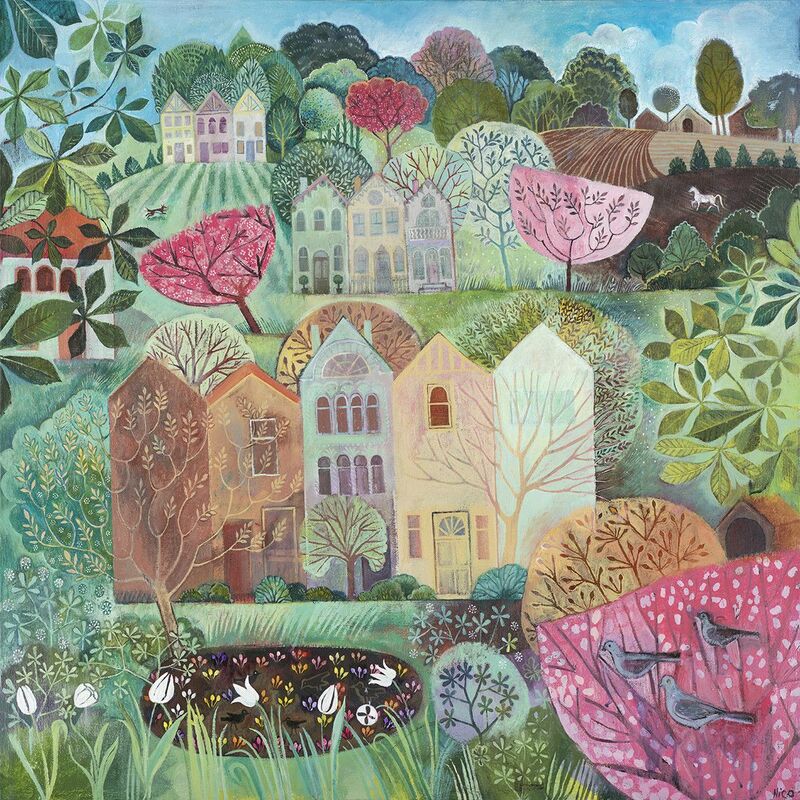 This is a beautiful and restful summertime exhibition at our friendly and relaxed gallery on Gabriel's Wharf.